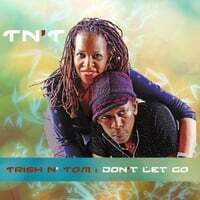 Welcome to tritommusic.com...The home of TN'T (Trish N' Tom). Our mission is to bring joy and happiness into lives through music. Come and go with us as we take you on a musical journey. We simply describe our music as "Good Music”. There are no gimmicks here, just a whole lot of love, soul, and funk. The music is progressive and encompasses many styles... soul, jazz, funk, gospel, rock, hip hop, house, etc. So we intensely concentrate on creating music that will lift the listener and hopefully help make the world a better place. Yes, tritommusic.com is all about love and happiness. Feel free to move through our home... check out the sites and sounds in order that you'll get to know us better. Thanks for visiting tritommusic.com. Don't forget to join our mailing list.